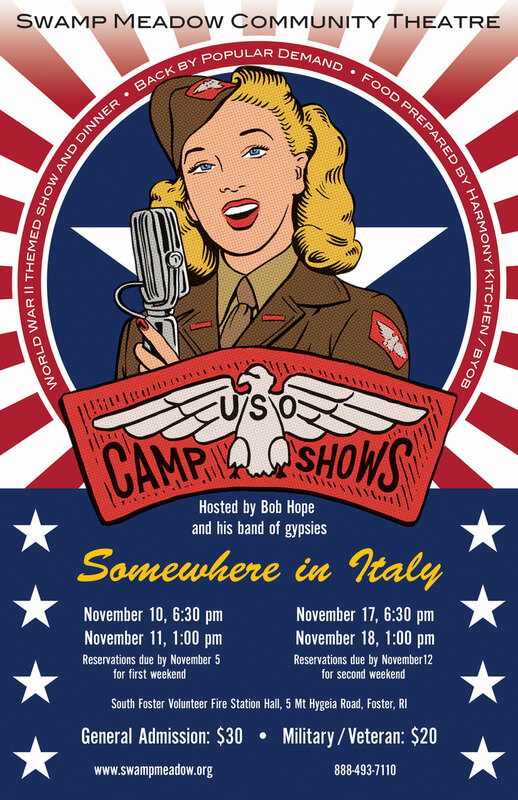 Bob Hope and his band of gypsies are back in action, entertaining the troops somewhere in Italy. This time it’s during the holiday season! 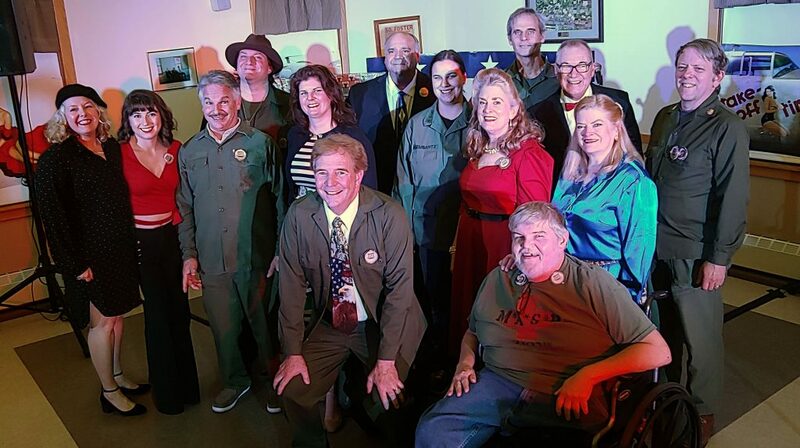 Don’t miss this opportunity to travel back in time to when our country was once again in fierce battle with the forces of evil to protect America’s freedom. Reservations due by November 5 for weekend 1 and by November 12 for weekend 2. Doors open at 6:00pm on Saturdays. Dinner starts at 6:30pm. Doors open at 12:30pm on Sundays. Dinner starts at 1:00pm.